A homemade nutrient-rich stock is a must-have staple. You can store homemade stock in the freezer for several months, so why not make a double-batch! Just borrow a friend’s stockpot so you can have two pots going at the same time! Having a good homemade stock not only makes your favorite stock-based recipes even more delicious, it makes them healthier too! That’s because homemade bone broth contains lots of nourishing nutrients, as well as gelatin which is a known digestive aid and also helps the body to better utilize protein. In addition to this wonderful stovetop recipe below, you can also use leftover chicken bones from roasted chicken to make a super easy Slow Cooker Bone Broth as well. Cut a whole organic chicken into six pieces – remove wings, legs and cut straight down the middle, removing the breast bone from the back bone. A slow, long simmer helps to extract all the beneficial nutrients, gelatin from the bones and flavors from all the ingredients. Remove the meat and return the bones and skin to the stock. The key to an exceptional stock is to press out all of the liquid from the solids. Take your time, keep moving the solids around and pressing out all the nutrient-rich liquids. Once I strain into a large bowl, I put my mesh strainer on top of my empty stock pot and press away to get out every last drop of liquid. Then just add it to the bowl of stock! 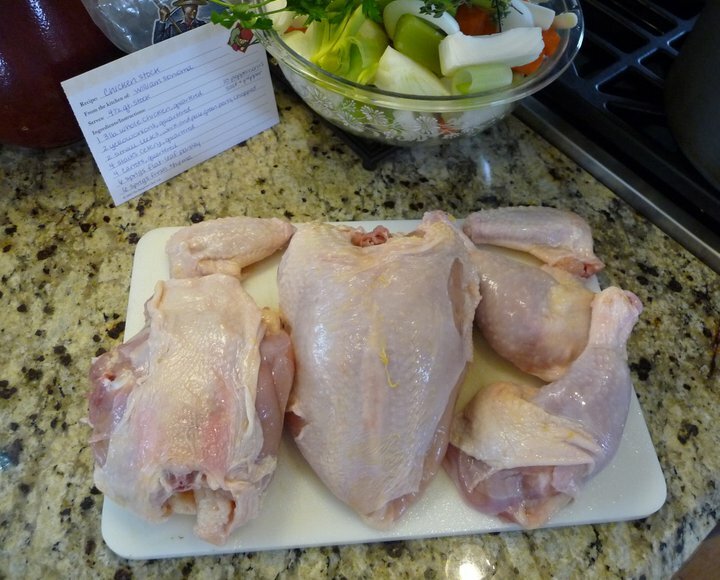 Cut chicken into six pieces (see photo above) and add to extra large stock pot. Add approximately 16 cups of water making sure to cover the chicken by about 1 1/2 to 2 inches. Bring to a boil and then reduce heat to a simmer. Allow chicken to simmer for a half-hour, skimming any foam from the surface. Add remaining ingredients. Return to a boil, then reduce heat to bring to a gentle simmer. Allow chicken and veggies to simmer uncovered for one hour, making sure chicken is cooked through. Turn off heat. Transfer chicken pieces to a platter to cool. Once cool, remove meat and reserve skin and bones. I like to shred the chicken meat and place it into individual containers of either two to three cups per container, based on what recipes I have planned for using the meat. Place container(s) in frig if using within five days or place in the freezer for up to one month. 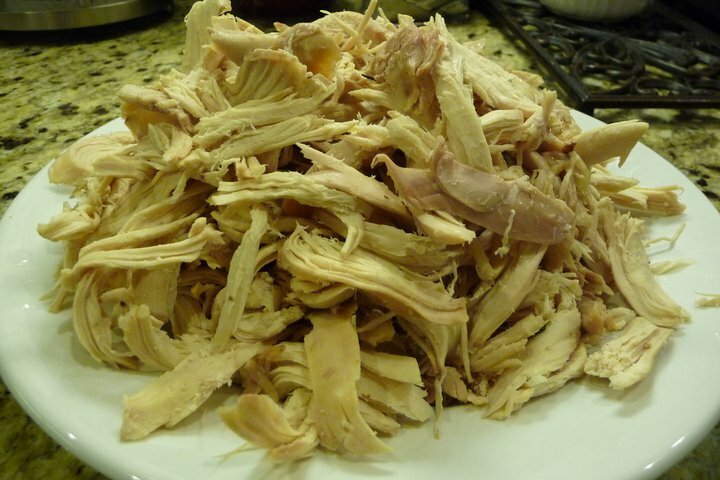 A five-pound chicken generally yields about 6 cups of shredded meat. 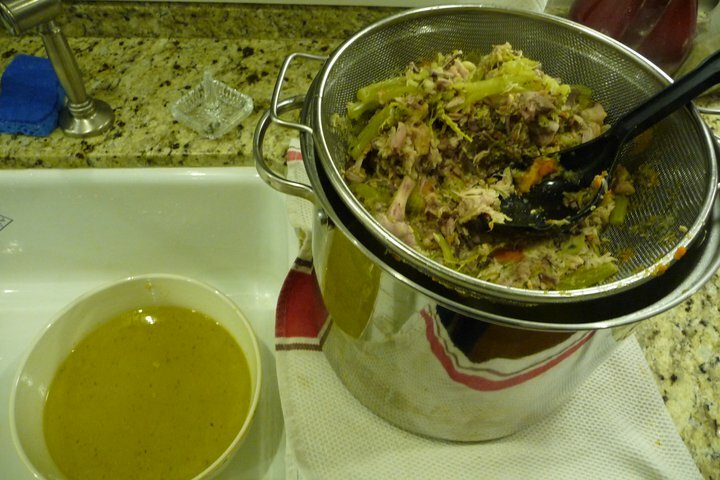 Return chicken skin and bones to the stock, and add one-quart of filtered water. Turn heat on high and bring stock back to a boil. Reduce heat and simmer for 1 1/2 hours. 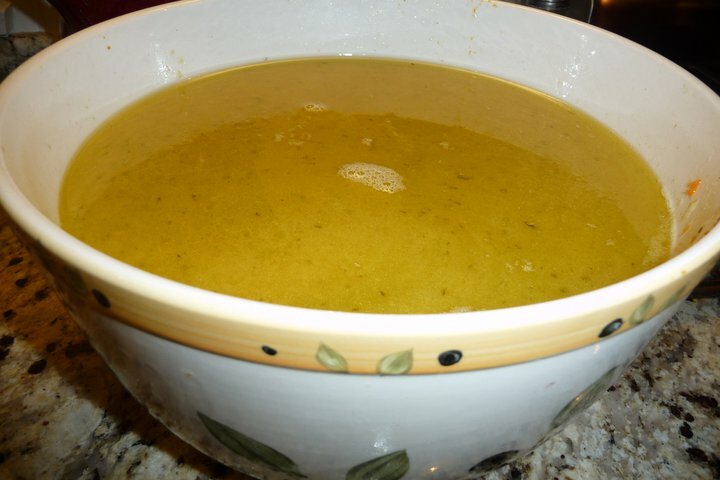 Storing Stock: Be sure to stir the stock well before you place it into individual containers, because you want to have all of the oils, gelatin and flavors evenly distributed. (I store my stock in individual containers of two cups each.) Then place container(s) in frig if using within five days, or place in freezer for up to three months. 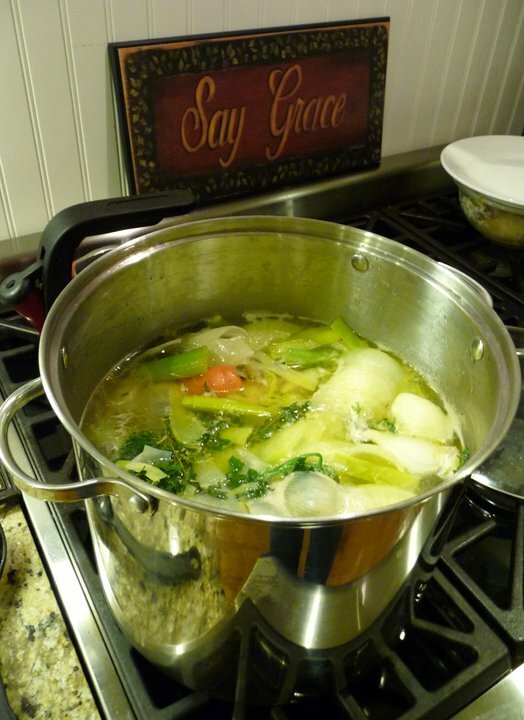 Using Stock in Your Favorite Recipes: Homemade bone broth is far superior in taste to any stock sold in cans or boxes. And most important, it's far superior in nutritional value as well. It's perfect for making your favorite soups and stews, as well for drinking daily as part of a gut-health-improvement regime. It’s completely normal for your stock to develop a nice thick solid jell across the top when refrigerated. In fact, it’s not only “normal,” it’s the true sign of a good stock. Do not skim this off, this thick layer of gelatin is loaded with healthy nutrients! Just wondering when you press everything at the end, do you press the veggies too? Any large chunks? Is there any use for the leftover solids? Since they have chicken they can’t go into the compost bin, so I’m curious if anyone has found a use for them? Thank you! Bewildered? Does this recipe really ONLY yield 12 cups of stock? That makes sense–as we are going for the health benefits. First time we will ever do this. Getting ready–stock pot is on the stove. I appreciate your response. I did it!! Yeah! I am not sure what I did, but ended up with 16 cups. It is so cute! It wasn’t too hard. It took me 6 hours including clean up. I cannot wait to make Chicken Wild Rice Soup! I am also trying the crock pot perpetual stock with the solids. Thank you for that suggestion. So glad to have found your recipe. Thank you for guiding me along. I put a picture on your facebook. I think. 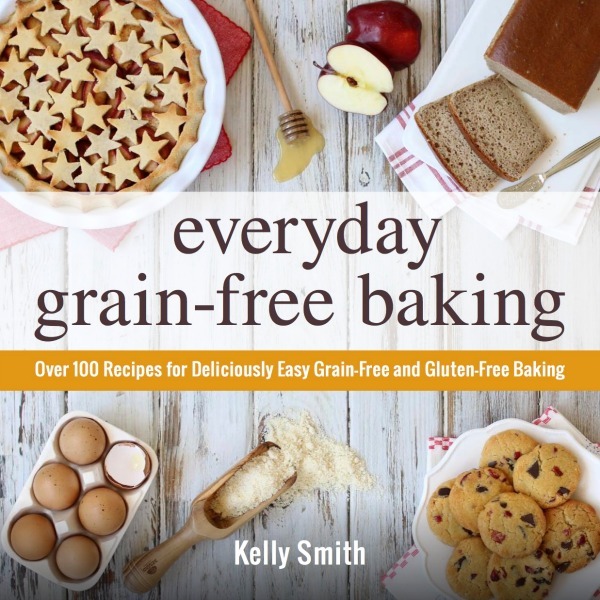 . .
Hi Kelly…..I was taught to remove the fat from the broth after refrigerating. But we never made the broth with all those delicious veggies so I am very eager to try this. After rereading your instructions, am I correct you leave the fat in the broth? I was concerned because of high cholesterol. Thanks for you thoughts to help me in this. I have a question, going to cook a whole chicken tonight and want to use the leftover for making soup so what would the directions be for an already cooked chicken? 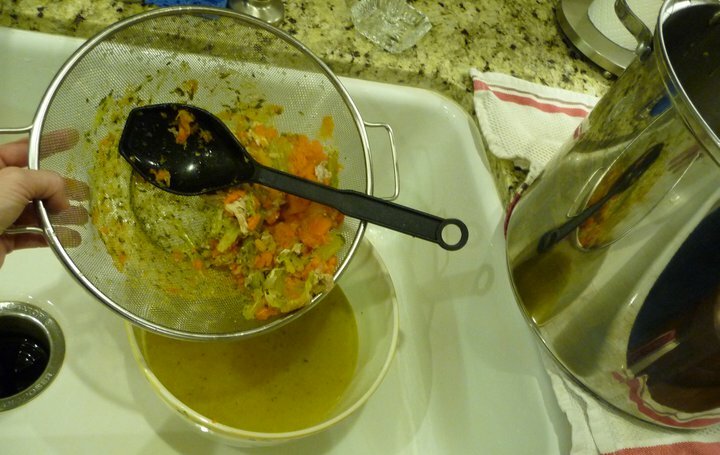 Are chicken stock and bone broth interchangeable in soup recipes? Yes, they are, Robin. 🙂 Enjoy!